How to choose a ball point pen for sketching ? With Brent George pen test selection. 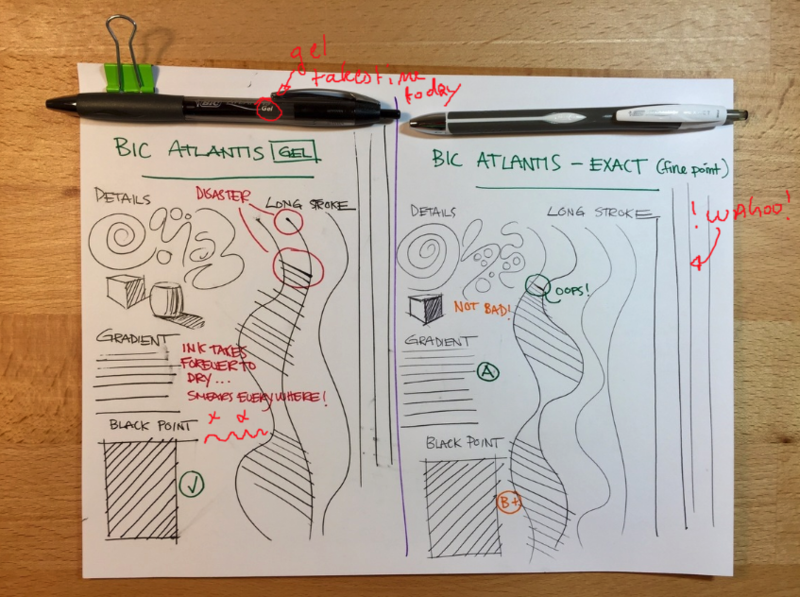 If you are still wondering with which pen to start with, let me share with you the series of test from Brent George, one of my student at Sketch like the Pros did during the Module 1. 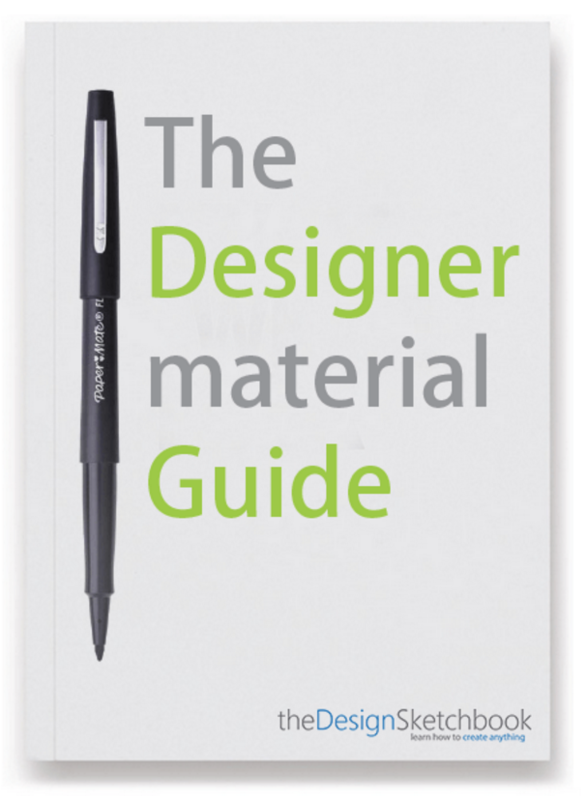 I hope our today article will help you better test and choose the pen that is right for you. First of all, we’ll put aside the pencil tool. 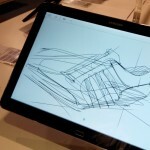 Can you draw with a very light pressure – like you would do with a pencil ? Light pen pressure are great to start any sketch with construction lines. Then when you got a good base, you can start giving more weight to your lines, so the previous one become almost “invisible”. Does it blob and stain your paper often ? Is that really black or grey ? Some ball point pens are not that black. Remember to double check this detail. 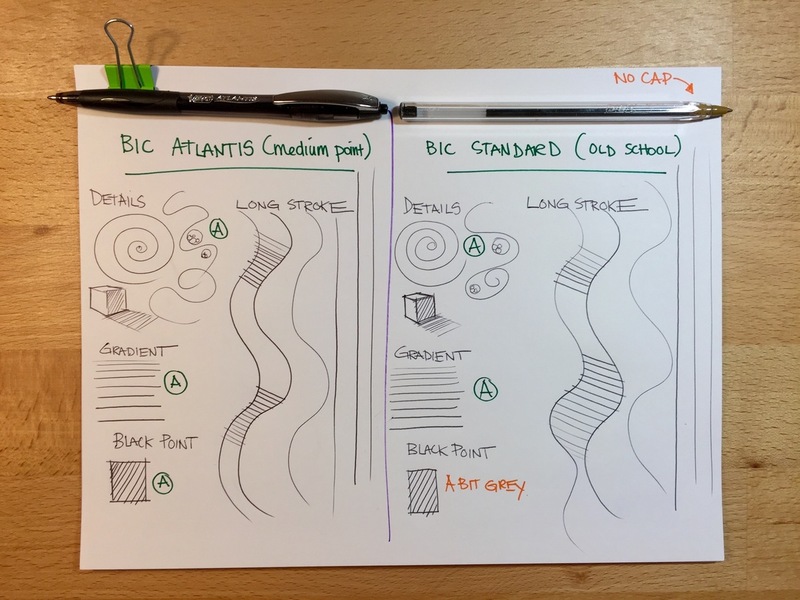 So your sketches will get better contrast. How is the flow of your lightest lines ? There is some pen that can’t handle light pressure of lines. They get interrupted. 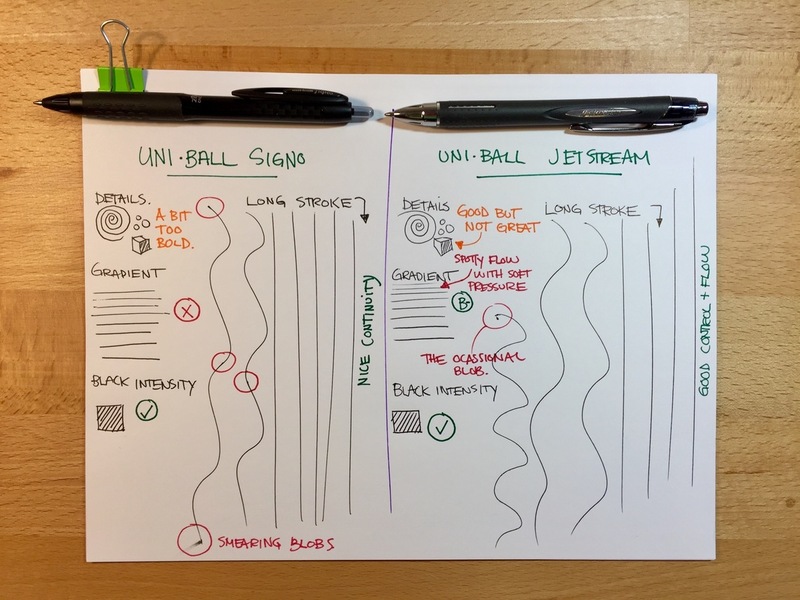 Test your pen applying a very low pen pressure, and make sur the flow of ink is constant. 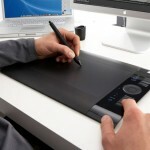 How is the feel of the nib on paper while you draw. Is it smooth ? Abrasive ? Dry ? Make sure that feel is sweet to you. I personnally like when there is a bit of abrasive feel on paper – till you can ear that “minitious cripsy sound”. 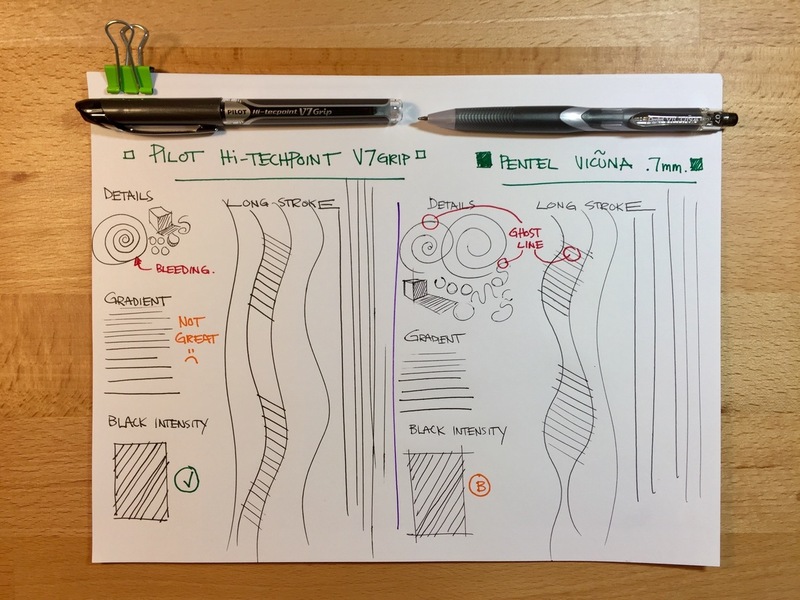 Is your pen using Gel ink ? Try to avoid them. (Of course, feel free to test them though. There is always exception to the rule). They mostly have lesser pen pressure sensitivity. Like the above point I have just mentionned, if you try to draw lighter lines you may see some tiny interuption of lines. Note that some of them take longer to dry. If your palm get in contact with the wet ink, it may mess up your sketch ! Damn !! 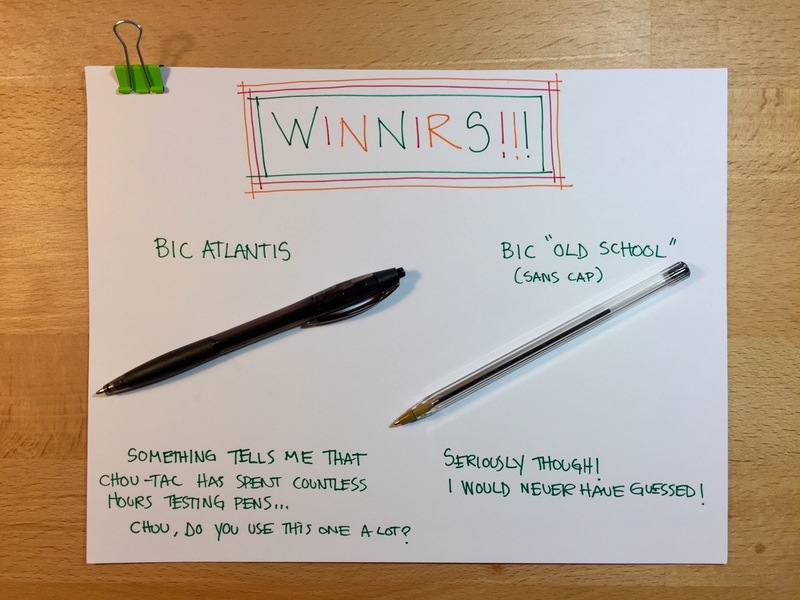 WINNERS: BIC ATLANTIS + BIC OLD SCHOOL !! Let me share with you some extra TIPS. 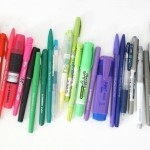 Buy the ball point pen in bulk ! Try to look for your favourite one on Amazon, and get them in pack of 6 or 12 for example. One of my student of Sketch like the Pros, Daphne Muëller did finish 3 full pens from the course only. It’s always good to have extra pen at home. Dont’t spend too much time at looking for the perfect one. As soon as you get one you enjoy and feel good with, stick to it. Don’t spend your time keeping looking for better one especially when you start learning to sketch. Keep focus with what you have on hand which is already great. 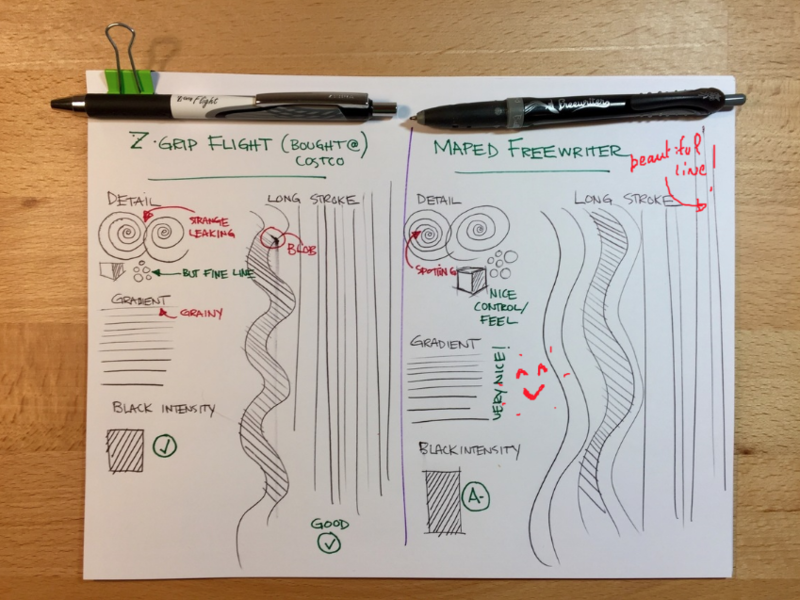 That is how you will keep refining your skills with that exact pen – instead of keeping switching and recalibrating yourself to new pens. 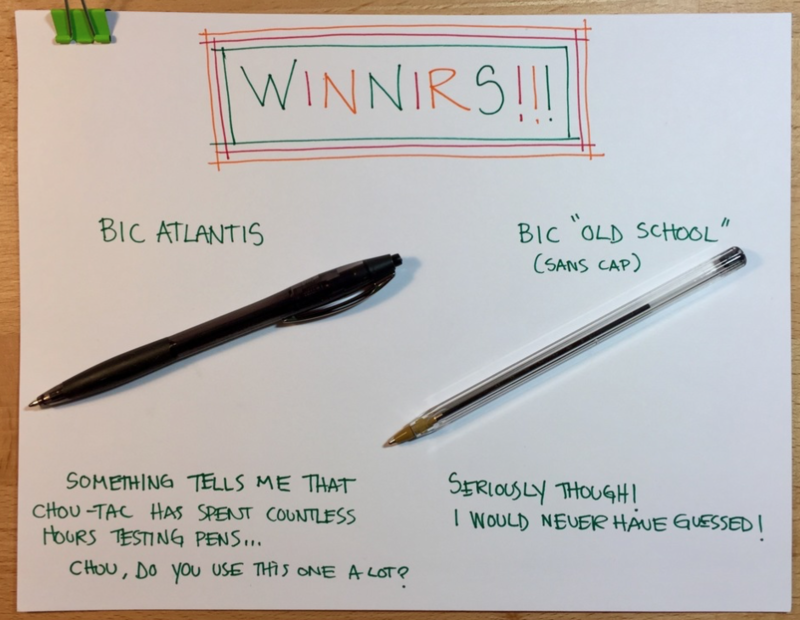 Bonus: Get a retractable pen. I am the kind who always lose his cap. And I am pretty sure I am not the only one. Are you ? Hehe. Some more a pen with no cap is a pen that roll on table and drop on the floor. A pen is fragile, so take care of it ! 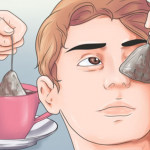 Hope this article has been helpful to you, feel free to share and see you for the next article !